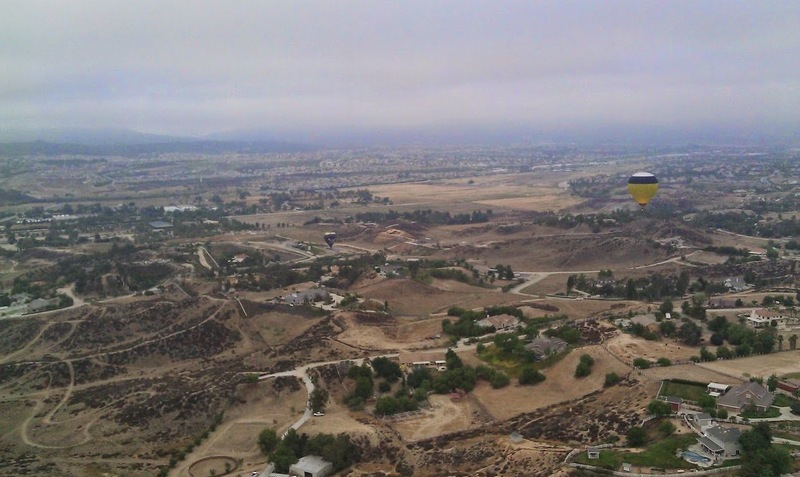 Specialty Markets in Travel, Tourism, Meetings/Events and Hospitality: Hot Air Balloon Ride in Temecula is a Must! 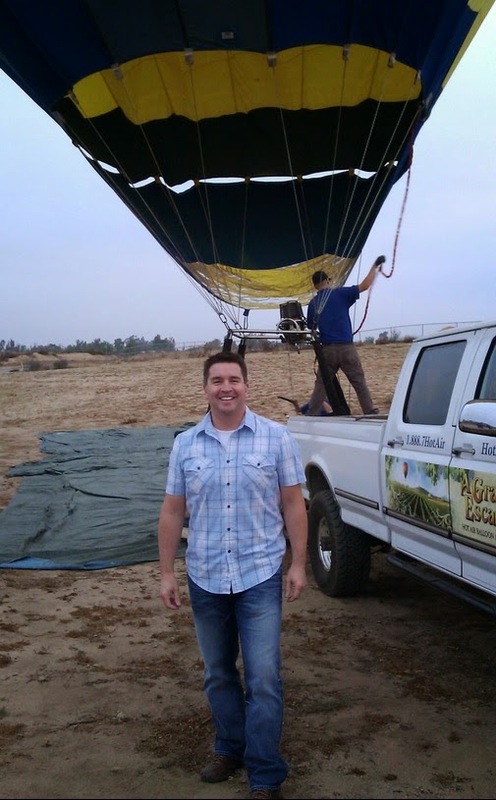 Hot Air Balloon Ride in Temecula is a Must! 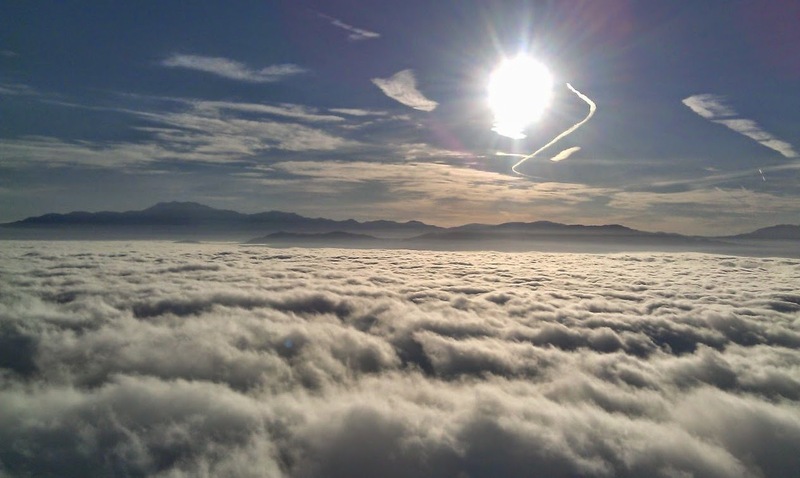 One of the most beautiful places in North America to enjoy a hot air balloon ride is in the Southern California wine country valley of Temecula. Last week I had an opportunity to do just that! Spectacular, breathtaking and amazing are just some of the words to describe the experience. As it was my first time to ride a hot air balloon ride, I was full of anticipation and a little nervousness. However, basically once we lifted off, it was all enjoyment and excitement from that point onward. One of the biggest highlights came about halfway through the trip when we rose above the clouds to 4,400 feet with incredible views of the sunrise and four mountain ranges....it was without par, once of the most awe-inspiring views and experiences I've ever encountered (see my photo to the right!). Another highlight was flying just a few feet above several vineyards, we could even see the grapes growing on the vines! After the one-hour trip, there was one more final highlight in store, enjoying a glass of champagne with our fellow 5 travelers whom we rode with. Together we all toasted to the trip and shared conversations about our fantastic hot air balloon experience. We learned one of the couples on board was celebrating their anniversary and the husband had surprised his wife by arranging the hot air balloon ride in advance as a gift (she had no idea about it until they showed up at the launching site and she saw the hot air balloon carrier basket. It was at that time she learned they were going on a hot air balloon ride to celebrate their anniversary!). 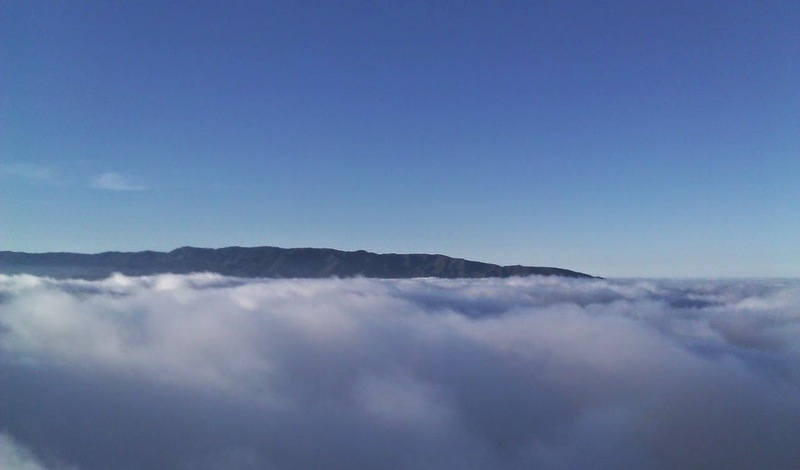 How can you or your group learn more about booking a hot air balloon ride in Temecula? 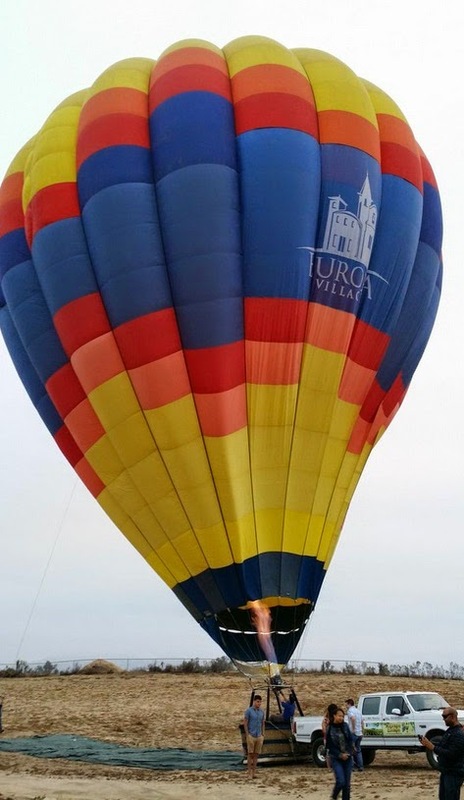 For more information about booking directly with the company that I rode with (A Grape Escape Balloon Adventure), click here http://www.hotairtours.com.